They are great at what they do. I have never had a problem with them, ever. If I ask them for something on a date, they will provide it by that date, and their work is excellent. They are timely, and their work is great. They are just really good at what they do. I use them all the time for my clients. They are very good. I plan on hiring them again for another asphalt project. I would recommend them and have told many property management clients about them already. I liked their communication abilities. They keep to a schedule very well and when something comes up they update us on everything. If you want it done right the first time, call them. They do what they say they are going to do and they warranty their work, but I have never had to call them on it. They are very communicative and they are on top of things. 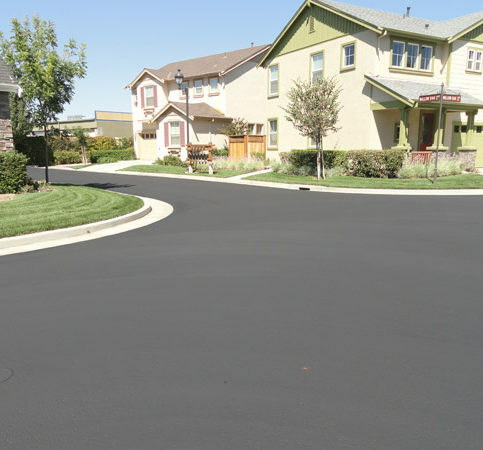 Black Diamond Paving Inc. provides a wide range of paving and concrete repair services for commercial and industrial clients, HOA residential communities, retail establishments, schools, and churches throughout California. In addition to offering standard services such as asphalt patch paving, resurfacing, sealcoating and concrete repair, the company performs ADA upgrades and decorative overlays. Black Diamond’s process starts with a comprehensive consultation to establish the customer’s objectives and determine their budget. Next, the company thoroughly evaluates site conditions and crafts a scope of work that meets those objectives and provides maximum value. Then, Black Diamond presents a proposal that details exactly what is included and meets with owners and board members to ensure everyone understands. DIAMOND CERTIFIED RESEARCHED CAPABILITIES ON Black Diamond Paving Inc.
Company Name: Black Diamond Paving Inc.
DIAMOND CERTIFIED RESEARCHED ARTICLES ON Black Diamond Paving Inc. Selecting one paving contractor from among a group of reputable competitors can be a daunting task. Often, there’s no single right way to do a paving project, and different companies will sometimes submit radically different proposals for the same project. This can result in confused customers who don’t understand what they’re paying for or contractors needing to re-bid the project–a time-consuming and costly process. When Megan Reger and Joanne Devlin co-founded Black Diamond Paving in 1996, they had a different concept of how a paving contractor should operate: Invest all the time necessary before a project to listen to customers and determine their precise needs, and then deliver a proposal that’s right for them. Once Black Diamond Paving learns what a client’s needs are, it puts together a detailed proposal that includes a site plan (with optional photographs) showing what work is to be done in each area. At Black Diamond Paving, each job’s schedule is tailored to the customer’s particular needs, explains Ms. Reger. The work plan may call for everything to be done at one time, or it may stagger the project over time, deferring lower-priority aspects of the project to conform to maintenance budgets or other requirements, such as scheduling work to create the least impact on the business or lives of the residents. The benefits of the detailed proposal and site plan go beyond streamlining and improving the bidding process. Once the go-ahead is given, Black Diamond Paving can proceed quickly. Any delays or unexpected cost overruns are minimized, allowing the crew to get the highest-quality job done fast and efficiently. Choosing a pavement contractor should be as simple as one, two, three. According to Megan Reger, owner of Black Diamond Paving in Hayward and Escondido, there are three aspects to choosing the right paving contractor and working with them to get a quality job. The first is fairly straightforward and the second two are more involved, but all three are about customers getting to know a contractor and his or her work. A contractor shouldn’t be working harder than a customer to find a solution, she says—it‘s a partnership. First, Ms. Reger recommends finding a small group of reputable contractors from which to solicit proposals. Confirm that the contractor is licensed and carries workers’ compensation and verifiable certifications. Going with a Diamond Certified contractor makes this easy, because the company research has already been done. Asking friends and neighbors for the names of good contractors they’ve worked with is another good approach. Ask a contractor for references, but keep in mind they’re only going to provide the names of favorable ones. One way around this is to ask for their three most recent projects’ contact information. By doing all these things, you can weed out disreputable contractors. Ms. Reger likes to compare the second step to consulting a doctor about a health problem. When visiting a doctor, a patient has a responsibility to communicate—the doctor can’t just guess what’s wrong. The same is true with contractors. Get involved, inform the contractor of your requirements, and answer questions. Also, listen to the questions the contractor is asking. The best contractors will know to solicit important information. Then, once a proposal is in hand, do some research and verify that the proposal meets your requirements. The third step is to be on site during the work—at least check in every day or so and ask questions about exactly what’s being done. Unless you’re already an expert in construction, you won’t know whether the contractor is using the right kind of compaction equipment, whether they’re rolling it quickly enough, or if they’re packing the edges correctly. By being on site and asking questions, you can help ensure you’re getting exactly what you paid for. By being involved, asking and answering questions, and working as a partner with the contractor, you can be assured the work is being done properly. Q: Why is one contractor’s bid priced more than another’s? A: Differing bids are usually the result of a different range or type of work. Most contractors don’t take the time up front to find out what a customer really needs; they just make assumptions. This can result in very different scopes of work, which is reflected in the price. At Black Diamond, we take the time to listen and talk with customers to find out what their long-term needs are. Then, once we have a thorough understanding of what the customer wants to achieve, we submit a proposal that fulfills those goals at a fair price. Q: Two contractors disagree on whether we should replace or overlay our existing pavement. Why the difference? A: It may simply be a difference in professional judgment. One contractor may think an overlay will be fine and another might disagree, but it may be that one or both don’t fully understand what your needs are. They haven’t, for example, tried to determine the volume and weight of the traffic you receive. In some cases, an overlay may be perfectly satisfactory, and in others, the size and weight of delivery trucks may necessitate a complete replacement, costing more up front but saving money in the long run.At Black Diamond, we tend to bid conservatively, treating your money as if it were our own. If you plan on keeping the property, we’ll aim to save you money over the life of the pavement rather than giving you the lowest upfront cost. On the other hand, if you plan on flipping the property in a few years, we’ll deliver a lower upfront bid, saving you money. The key is to provide the service that’s right for you. Q: How do I know Black Diamond is the right contractor for me? A: Our proposal addresses your individual needs in detail, shows that we understand exactly what you need, and lays out our plan for delivery. We’re happy to sit down with you, even if that means coming out some evening to meet with the homeowners’ association board, to detail similar work we’ve done in the past and listen to your needs. These meetings usually turn into sessions where we ask as many questions of you as you do of us. They can be a key component in assuring we’ll be able to deliver on exactly what you need. Q: Can you schedule the work to minimize disruption? A: Absolutely. Paving work can be disruptive, reducing access to your business and making life difficult for residents, but we can work to make it as tolerable as possible. Sometimes, this means temporarily closing your business so we can work as fast as possible, allowing you to reopen quickly. Other times, it means breaking the project down into staggered sub-projects, so you can continue operating while we work. And we can adjust the schedule so, for example, we’re not shutting down the loading dock on Tuesday when you expect your big deliveries. Q: What’s the difference between asphalt and concrete paving? Which is better? A: Asphalt is aggregate with an oil binder. It’s flexible and will move, rising as a tree root pushes it up or sinking into a pothole as the ground underneath settles. Concrete is aggregate and cement. It isn’t flexible and only moves as a single slab once it’s set. Concrete is stronger and lasts longer, but it’s more expensive to install and maintain. 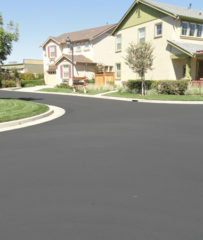 Asphalt tends to be a more cost-effective solution for parking lots, roads and similar applications. Q: What’s EuroPave? Isn’t it just gravel? A: EuroPave is a decorative outdoor surfacing. It has many different applications; you can use it on the street, in building entrances, or in portions of the landscaping around a building. Unlike asphalt, which is basically rocks with an oil binder, EuroPave is decorative stone with a clear binder made from recycled glass. The binder is porous and water drains through it. It‘s used quite often in Britain and other parts of Europe, and you can see it at famous places like Hampton Court and the Eye of London. We recently did a beautiful project at a brand-new library in San Jose with blue recycled glass. A: Basically, it’s a method of patching asphalt to eliminate the joint between the new and old asphalt and extend the life of the patch. When you cut out a patch and simply repave it, you create a joint around the edges. This joint will eventually crack due to the different expansion and contraction rates of the new and old asphalt. Water will eventually seep in, undermining the surface and creating more cracks.With infrared paving, we reheat the asphalt around the patch back to its original temperature and add a rejuvenator to replace the oil that’s been stripped away over time. We just rake out the old asphalt and roll it back in with the new asphalt, essentially recycling it in place. This creates a patch without a joint. It’s also much less expensive, because we don’t have to bring in new excavation equipment. SELECTED PHOTOS FROM Black Diamond Paving Inc.
Diamond Certified RATINGS ON Black Diamond Paving Inc.
Black Diamond Paving Inc. : Average 9.1 out of 10 based on 308 unique customer surveys of customer satisfaction. That they are reasonably priced, they show up when expected, and they complete the job in the period of time that they commit to. The job was always well done. You get a big bang for your buck with those guys, very high quality work with very fair numbers and just outstanding guys who work for him. Everything, from the quote to the estimate to the guys who did the work. They did extra work that they didn't have to do. They finished it very well and I didn't have any problems. Black Diamond is very responsive to everything that I ask, they bend over backwards to take care of us, and their price is fantastic. They are very responsive, they try their best on any project, even if it is a little bit out of their scope, they will try to take care of us, and they are real people. They do a great job and they follow up well. They are very fast and they get the job done. I liked that it was one-on-one. The first time I ever met Jim, he was working on Christmas Eve and was following up on a job and I wanted his card. I am very satisfied with their level of service and the quality of their work. I have used them for many years now, and I am happy with their service. They do a good job, and they are here when I need them to be. Their friendly service, and their prices are reasonable. I would say they are professional and competent at what they are doing. Just their responsiveness, and they show up when a lot of people don't. I researched the person I dealt with on Yelp, and he was by far a lot sharper than other people I had used with other companies. It just seemed to be a quality job, and the price was competitive too. I was happy. They were helpful and professional with the work that they did. They are friendly and professional. I would work with them in the future.